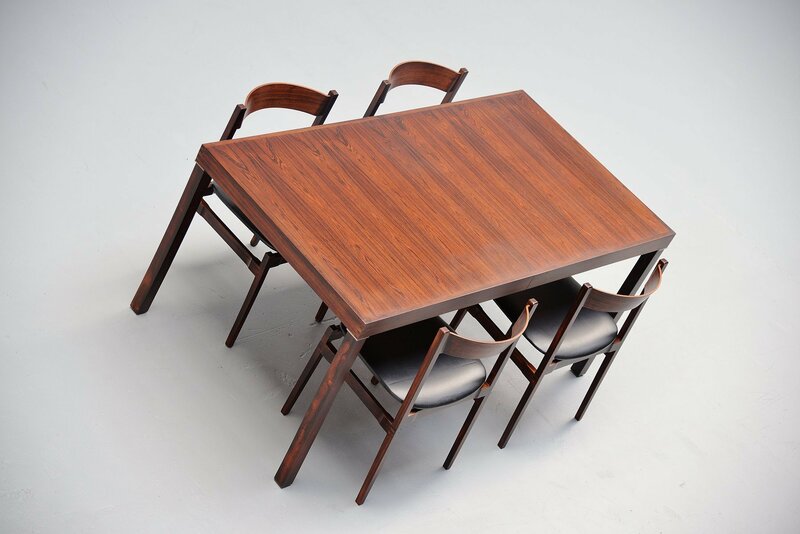 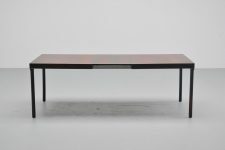 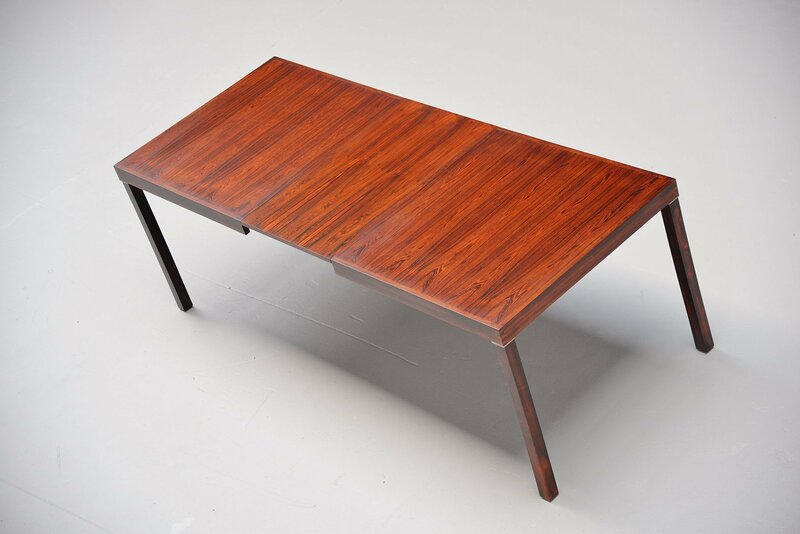 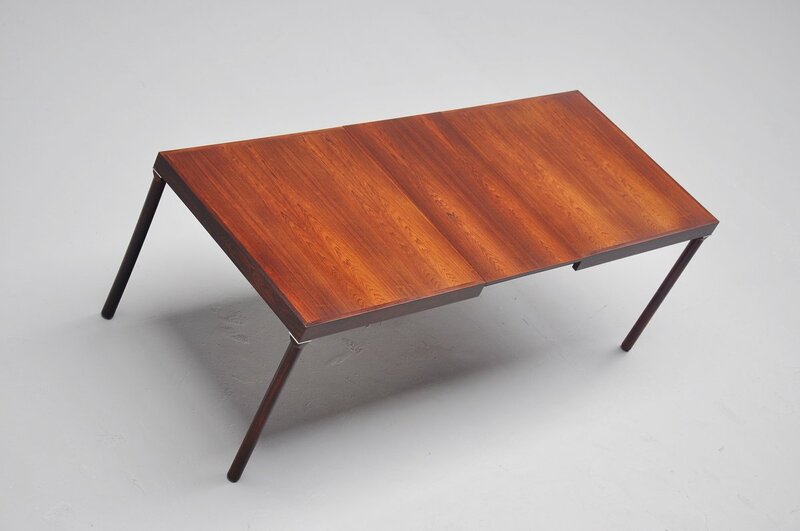 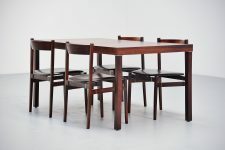 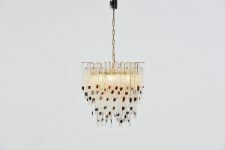 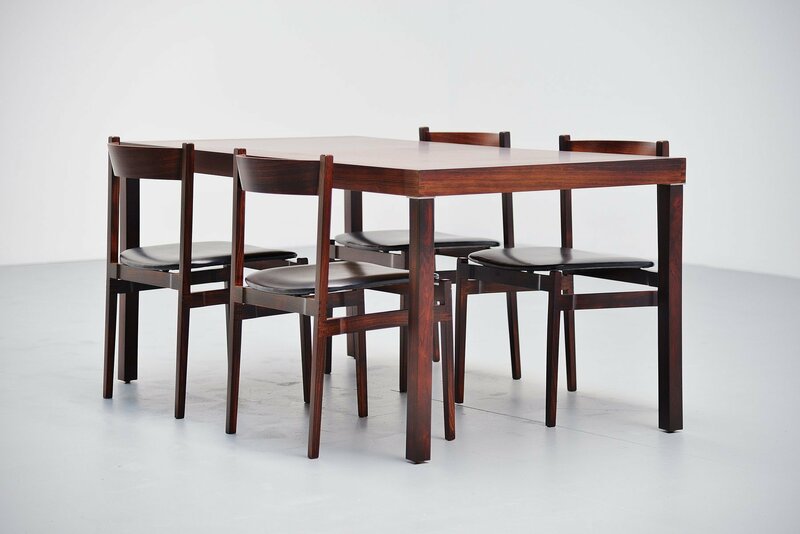 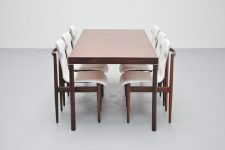 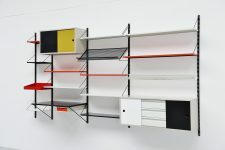 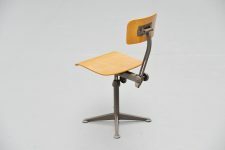 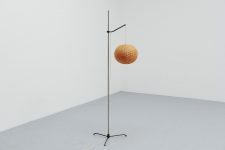 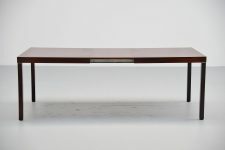 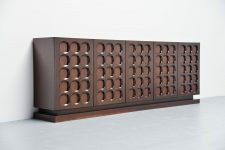 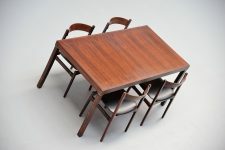 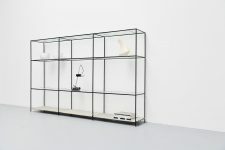 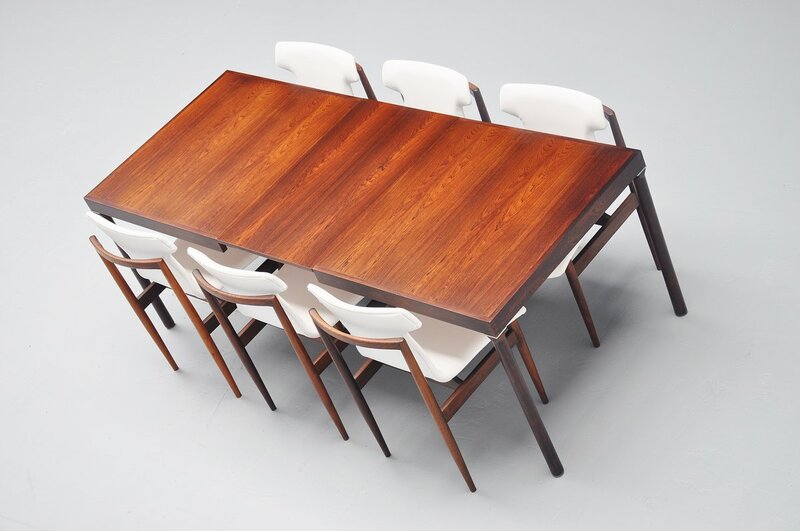 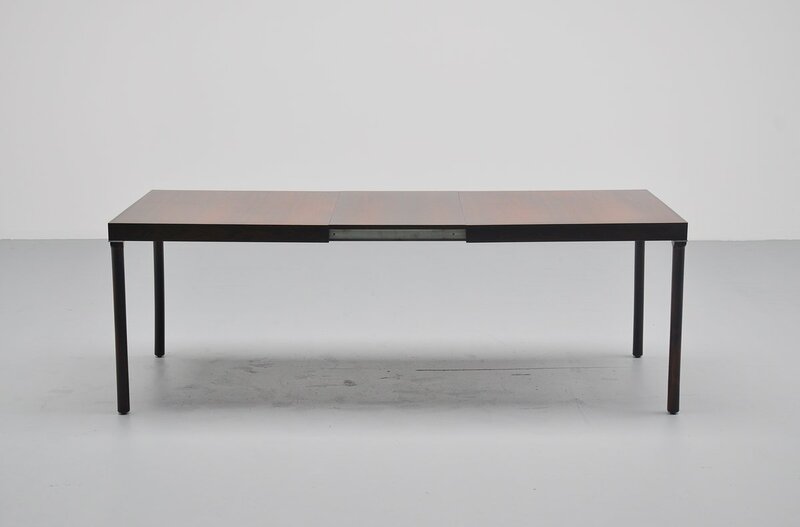 Very nice extendable dining table designed by Inger Klingenberg for Fristho Franeker, Holland 1960. 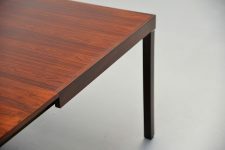 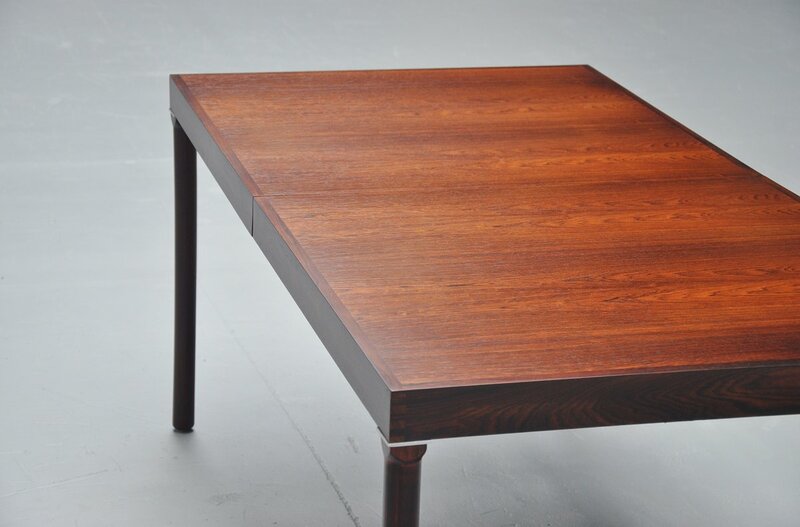 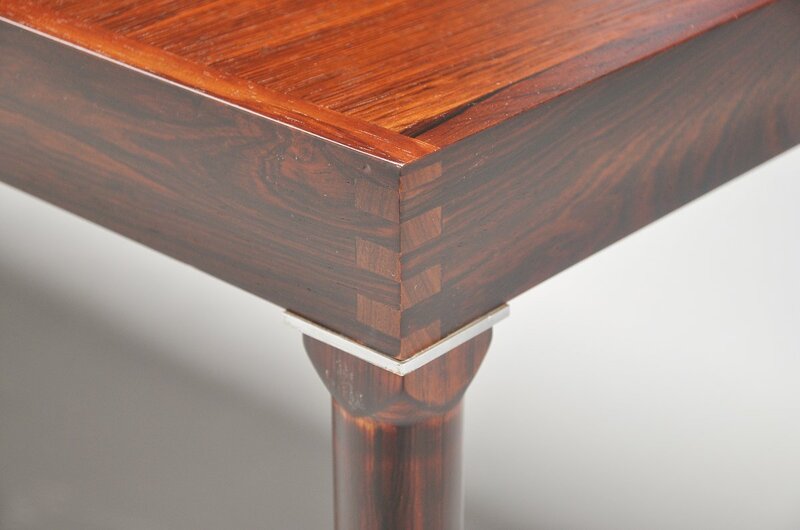 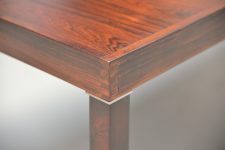 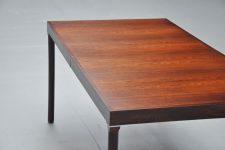 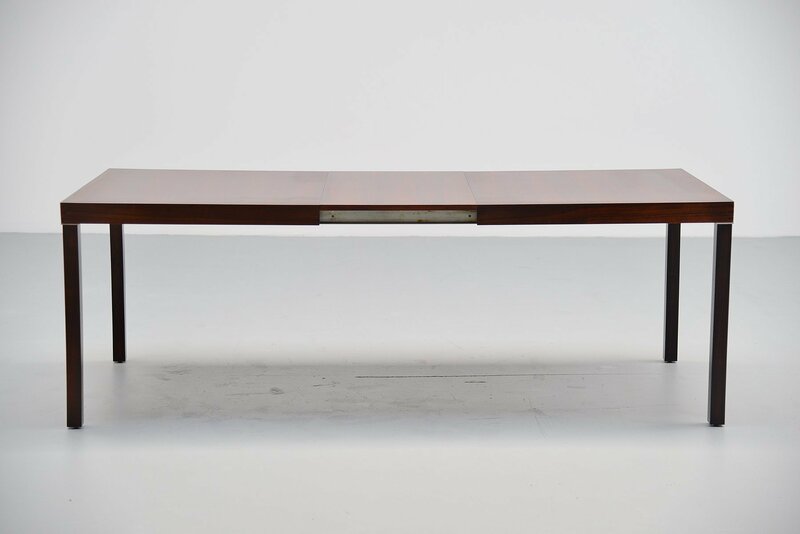 This rosewood dining table has some very nice details, on the corners you will find some dovetail connections and a metal square tag to finish the table. 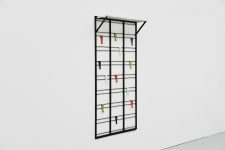 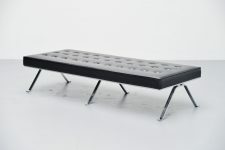 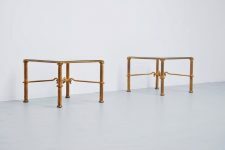 Legs are strongly connected with a long metal bar on the inside. 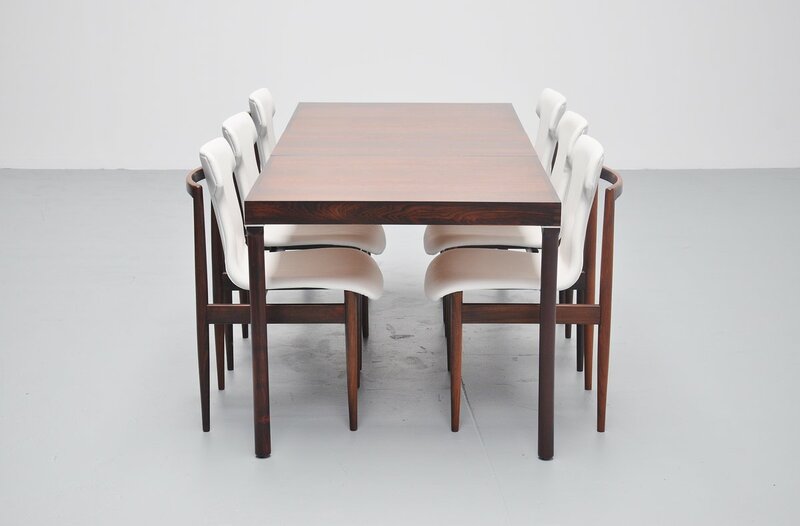 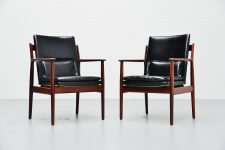 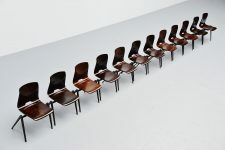 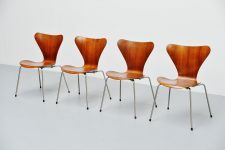 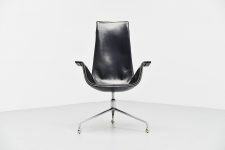 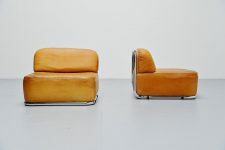 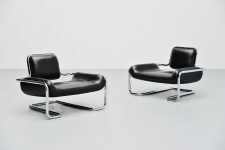 Great to match with a set of 6 IK chairs by Inger Klingenberg in white vinyl, also available in black.